Очень качественный авиационный симулятор Lockheed Martin Prepar3D Academic, за разработку которого отвечают настоящие профессиональные программисты, так как в первую очередь он был создан для тренировки пилотов и других тестов. Данный проект не рассматривался для распространения в игровой индустрии, что говорит об огромной редкости этой раздачи. Added Network Test UI screen. Application can now be run over remote connections. Added native eye tracking support with the HTC Vive Pro Eye. Added native support for the Varjo VR-1 headset. Added Distributed Interactive Simulation (DIS) auto-connect capability. Engagement lines can now be drawn in DIS. Added Common Image Generator Interface (CIGI) collision detection. Sound now supported in SimOperator. The scenario Progress Log is now available in SimOperator. Visual ribbons now render in SimOperator. The IP address box is now focused when entering the Direct IP multiplayer screen. Slightly reduced the light energy on PBR objects to better match non-PBR object lighting. Fixed bounding box calculations for models. Fixed Learning Center button in the Virtual Reality (VR) Settings screen. Fixed mouse picking on Physically Based Rendering (PBR) textures. Fixed crash seen in aircraft with fewer propellers than engines. Fixed issue that caused scripted textures to not refresh correctly. Fixed memory leak that occurred when models contained invalid animations. PBR is now supported for autogen trees. Loading a scenario from the Startup Screen will now return to the Startup Screen instead of immediately launching the scenario. Fixed offset reflections in VR single pass mode. User objects with 0 hit points will now collide into objects instead of ignoring crashing. Fix for texture caching to prevent incorrect terrain tile textures from loading in certain cases. Improve animation smoothness in multiplayer. Doubled default send update rate frequency in multiplayer. Fixed issue preventing the C-130 from respecting the unlimited fuel setting. Fixed issue causing effects to not draw in some cases when multiple views were open. Fixed issue preventing the multiplayer host from switching vehicles during a scenario if option was enabled. Fixed loading issue that could sometimes prevent various buildings from loading. Errors in custom weather settings are now displayed when opening the UI window. VR now remains enabled after a scenario reset. Fixed issue where players could join in the wrong vehicle in some cases in multiplayer. Various performance improvements to single pass VR. Currently open views are now preserved when entering multiplayer unless specified by the scenario. Fixed various cases where the main application window was not blacked out when opening certain UI views. Added default VR window positions for global panels. Autorudder is now disabled by default. Fixed minor visual artifacts with focal points in VR. Fixed incorrect handling of several escape characters in aircraft configuration files. Fixed issue preventing panels positioned in 3D space from respecting the ignore input setting. VR gaze controls now support right clicking. Fixed various UI issues with saving and loading seasons in the southern hemisphere. Removed Multiplayer HostControlsScenarioEntities setting. This is now always defaulted to true. Scenario objects are now serialized by the host instead of loaded from the scenario file by each connected client. Fixed unwanted collisions between host scenario objects. Fixed issue preventing scenario entities owned by the host from being damaged. Fixed issue preventing global custom cameras from refreshing correctly after changing vehicles. Fixed HMD menu toggle button. Fixed issue where muting sounds would stop and resume sounds instead of playing at zero volume. Added temperature checks to particle emitter velocity calculations. Fixed minor visual issues with tree reflections. Fixed issue in some ground vehicles where vehicle would attempt to steer when not moving. Objects will now animate even when not being drawn if they have an object such as a weapon attached to an attachpoint. Various updates to multiplayer interfaces. Fixed issue where add-ons placed in the Prepar3D v4 Add-ons folder would not write to the app data configuration file. Fixed an issue where sounds would not always disable when hitting ‘Q’ or pausing the simulation. Ribbons added in the Navigation Visuals menu can now have their width configured in the UI. The multiplayer chat window button now works as a toggle. White space is now prevented from being sent in the multiplayer chat window. Various layout and icon changes made to the multiplayer chat UI. Fixed issue where local client’s chat window player icons would not update as they were talking. Fixed sound issues when switching views. Scenario panels can now be opened while viewing an AI aircraft. Fixed crash that could occur when playing back recordings with effects. Fixed radio frequency display in the multiplayer chat window. The chat window no longer closes when entering multiplayer. Fixed performance issues with the chat window when receiving new chat messages. Info text is now displayed when using multiplayer voice communications. Fixed effect placement issues when objects were frozen. Added Direct Voice key mapping to talk to players directly regardless of radio frequency settings. Object visual ribbons can now have unique colors per association ID. Fixed the ClientEnableVoice setting in multiplayer. Unprocessed voice data is no longer sent over the network. Added an additional optional timeout value to ribbons to prevent them from remaining after an object is no longer moving. Fixed an issue that could cause particle effects to incorrectly emit if the attached model wasn’t animating. Multiplayer chat notifications are no longer sent when players join the lobby. Added content errors for duplicate autogen IDs. Fixed issue with docked panels not displaying correctly when loading a view group. Voice communication is now enabled by default in multiplayer. Visual ribbons no longer cast shadows. Added configuration option to group navigation visual icons. Added documentation covering the missionpanels.cfg file. Navigation visual icons are now positioned based on the object’s bounding box. Added key event to refresh shaders. Added multiplayer “Ready Players” button so host can request each player enters the ready state when joining the session. Added additional tooltips to multiplayer UI windows. Reverted render mode for UI windows back to software-only. Fixed issues with attached objects being out of sync with parent object. Fixed an issue where shared cockpit voice intercom could not be disabled by owner aircraft. Fixed batching issues with objects using two UV channels. Fixed crash when opening a new docked view with window titles on. Fixed bug preventing the HideTerrain camera configuration entry from functioning. Fixed UI hang when closing the Save Scenario screen using the X button. Fixed crash in the Vehicle Select screen when trying to preview a vehicle with no preview data when in the viewer object. Fixed issue with the “Use System Time” setting not being respected in some cases. Added delete object callbacks for High Level Architecture (HLA). Client roles are no longer reset when the scenario is restarted in SimOperator. Fixed issue preventing SimOperator from executing certain scenario actions. Attachments are now updated after the loadout is loaded instead of waiting for the first simulation update. Weapons and countermeasures that fail to register in multiplayer are now removed. Fixed issue where weapon effects would not draw in some cases after they were detached. Fixed an issue where “Pause On Lost Focus” would not stop the simulation time in SimOperator. Updated AttackerBehavior to support firing weapons multiple times within a second. AttackerBehavior no longer fires against enemies with no health. Countermeasure System now utilizes the system on flag. Fixed crash that could occur when ending a scenario with ongoing delay actions. SimOperator now always starts the scenario paused. SimOperator will now display the correct player name and “Observer” role in lobby. The Measuring Tool is now available outside of staging mode in SimOperator. SimOperator now correctly persists Editor ribbon button and window states. Fixed inconsistent pause states when staring SimOperator. ControllableCameras now track weapon system targets. SimOperator can no longer enter roles or change user ownship. Fixed issue preventing “Center On” from working correctly in SimOperator. “Snap to Ground” is now available in SimOperator. Moving aircraft in SimOperator will no longer cause them to fly. Fixed issue when canceling an exit in SimOperator could cause the UI to freeze. Fixed issue that could cause the SimOperator confirmation prompt to appear multiple times on exit. Fixed issue where both multiplayer and SimOperator confirmation prompts would appear on exit in some cases. Fixed issue where launching a SimOperator session would sometimes return to the login screen. Fixed issue preventing recording from playing back correctly in multichannel. Added StopFlightRecordingAction to stop a currently playing flight recording on an object. Play and stop recording actions can now be triggered on player objects. ScaleformObjects can now be added in Virtual Instructor mode. Added wait cursor to display when SimDirector is saving the scenario. Added ControlEventTrigger to process actions based on control input. Added Association ID object with friend/enemy support. Improved performance when making modifications to objects in large scenarios. Added angular data to the measure tool. Added additional validation to area objects. 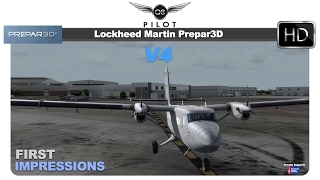 Crash detection is now correctly restored when leaving Virtual and Flight Instructor modes. Fixed bug preventing tail numbers from being set on entity objects. Fixed incorrect speed tree rotations when using the rotation gizmo. Scenario menu prompts can no longer be manually closed by the user without selecting an option. CylinderPathAreas can now be moved with the mouse. SetTargetActions can now be applied to player objects. Goals objects can now be configured to pause the scenario when bringing up the goal completion popup window. Fixed issue with ObjectActivationActions not updating the next point of interest if applicable. Touch zoom now continuously updates instead of zooming only when touch was released. Fixed cases where alert messages would show below the Prepar3D window. Fixed object placement issues when using touch controls. Fixed issue with action triggers re-firing before child actions completed. Animated Focal.swf file for use in scenario development. Donkey and cart scenery objects. Added dynamic lighting to fire, explosion, and firework effects. Updated S-97 external AI model with pilot silhouettes, added configurable tail numbers, and improved rudder animations. Several C-130 fixes to switches and lights. Added missing afterburner effect to the R-11 Scud missile. Improved R-11 Scud Transporter vehicle handling. Fixed missing light effects on beacon lights and extended the dynamic lighting range. F-16 wing rails are now always visible instead of being added as an attachment. Tuned several explosion and impact effects. Fixed F-16C HUD text to only display when looking through the glass. Fixed illogical stall speed in F-16A. Corrected pylon positioning to fix gaps. Added dynamic lighting to muzzle flash effects. Fixed issue with Pilot and Sensor reticles missing elements when opened on multiple displays. Updated autogen models to reduce flickering at long distances. Updated roles in the example multiplayer scenario to include the C-130 and F-16. Beacon lights now scale based on distance. Fixed F-16 afterburner effect to no longer bleed through certain areas of the model. Updated Indago to reference common pilot and sensor reticle files. Additional minor tuning to various weapon objects. Updated Jet Fighter Time Trial scenario to prevent speed build up before selecting aircraft. 3ds Max 2019 is now supported. Added functions to get bounding and crash boxes for objects through the Prepar3D Development Kit (PDK). Added flag to inhibit rudder input with nose wheel steering on tiller-equipped airplanes. Kill effects are now customizable for all SimObjects and support different effects when on the ground or in the air. Additional global panel configuration files can now be added through the add-on system. Added various PBR material templates and updated model template documentation. Added function to enable and disable the sending and receiving of DIS packets to the DISManager PDK. Added simulation and program variables to retrieve position freeze states. Added InitPosition function to IBaseObject. Added TargetLeadTime property to the WeaponSim guidance system. Particle effects emitters can now be configured to scale based on distance. Added Gaze Data Capture PDK sample. Added GUID validation for modeldef.xml files. Errors will be displayed during 3ds Max export. Added Unicode support to several SimConnect functions and events. Added ControllableCamera function to track the current target from the fire control system. SimConnect weather observation queries will now return global weather station data if the specified station does not have weather defined. Fixed incorrect reticle alignment in the Targeting Pod Sample. Fixed issue where changing global weather over SimConnect would not properly clear clouds and precipitation. A controllable camera is now automatically created when any corresponding variable is requested from an XML gauge or Scaleform. Fixed null return case in GetCurrentWindow with multiple views. Updated the Oil Rig sample .x and .max files. Updated AIR sample files in documentation. Use of global terrain view can now be set using the CameraPDK. Added CameraSystem PDK functions to control single pass rendering. Corrected return values in the Sound PDK service. Fixed an issue where 3D sounds created through the PDK would always loop. Added missing latitude and attitude key events to the gauges header. Fixed issue preventing some sample projects from building correctly in debug. Fixed XtoMDL error that could cause certain elements to be incorrectly flagged as animated. Updated outdated documentation referencing dll.xml files instead of add-on.xml files. Fixed issues with camera sensor mode not updating when set using SimConnect. Updated helicopter sample flight model with min/max collective angles. Fixed crash when trying to create non-aircraft objects with the SimConnect_AICreateNonATCAircraft function.